Poet, author, and performer, Joyce Latham wrote with warmth and humour about the people and places of the Forest of Dean. As a child she would sometimes lock her young friends in the garden shed with her to hear her recite her latest poems. In later life she became a popular performer and went on to publish collections of poetry, as well as memoirs of her life growing up in the Forest. Joyce began writing poems as a child (around aged 6) realising she had a talent for creating rhymes. Her daughter, Sally, remembers that Joyce could write a poem about almost anything, and friends, family and work-mates would often ask her to write one for them. She would write poems for birthdays, weddings and other special occasions. Her poems first appeared in print the local newspaper The Dean Forest Guardian. With the arrival of The Forest Bookshop in Coleford in 1976 local poets and authors found a champion in shop owner and publisher Doug McLean, and in 1982 he published Joyce's first collection of poems. In 1984 she featured on the album Doug produced - A Quat 'an a Chat - alongside fellow Forest authors Winifred Foley, Harry Beddington, Dr Tandy, and Keith Morgan. The popularity of Joyce as a poet and performer would soon be matched by her two memoirs. Recalling her memories of growing up in the 1930s and 40s her writing portrays with fondness a close nit community and extended family network. Alongside the warmth of her Forest up-brining she also portrays the hardship, prejudice and sorrow that were also never far away. Her books became incredibly popular, with many copies being sent across the globe to friends and relatives from the Forest who had emigrated. Martin, her son, recalls that Joyce always remained modest about the impact of her writing. Still today though both he and sister Sally are known locally as 'Joyce Latham's son/daughter' such was the popularity of Joyce as both a writer and a local figure. 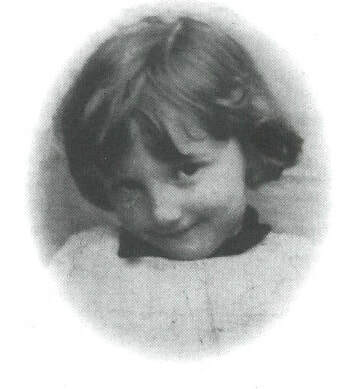 Agnes Joyce Farr was born on 16th March 1932 in Westbury on Severn. Her mother, Elsie, in common with many young working-class women of the day, had left home to go into service in Bristol. I was during this time that she became pregnant with Joyce, returning home for the birth. Due to the social stigma associated with unmarried mothers, she gave birth at Westbury-On-Severn workhouse. The plan was for the baby to be placed up for adoption, but instead she was taken home to the Forest to be brought up by her grandmother and grandfather. Joyce grew up as part of a truly extended family that included her two aunts, an uncle (who often lived away due to work and, later, the war), numerous cousins, coming from both the maternal and paternal grandparents’ sides and, her birth-mother Elsie. Elsie married on March 1933, almost exactly a year after Joyce’s birth, to William John Sollars, a collier. The couple lived locally, meaning that Joyce had ongoing contact with Elise, stepfather and younger half-siblings – though it was her grandmother (‘Mam’) and grandfather (‘Dad’) who always fulfilled the role of her parents. ‘Dad’ was Charles Farr (born in 1870). He was a miner for many years, later taking employment with the Forestry. In her two autobiographical accounts Joyce describes Charles as having been ‘a bit of a rabble rouser’ as a young man, and a heavy drinker. In later life he suffered badly from the miner’s lung complaint of silicosis and in terms of temperament, had ‘mellowed’ by the time Joyce came into the family home. ‘Mam’ was Tryphena Farr, nee Gwilliam (born 1884), the youngest of a large family born to James and Harriet Gwilliam. Sadly, Harriet died within a year of Tryphena’s birth, the little girl being brought up in Berry Hill and Joyford by an unmarried maternal aunt (Eileen Jones). Eileen is described in the 1891 census as a charwoman. Joyce tells of her Mam’s description of additional seasonal work (such as hop picking) that both she and her aunt undertook to earn a living. William Gwilliam (Tryphena’s father) and her older siblings did maintain contact with Tryphena in her childhood, but although she visited, she never returned to live with them. Joyce speculates in her autobiography, Where I Belong (1993) that this early start in life may have influenced Tryphena’s decision to take in her daughter’s child. ​When she was very young home for Joyce was Barn House, Hillersland. When her Dad retired, this house was too expensive to run, so the mortgage and house was taken over by Doris (Mam and Dad’s eldest daughter) and her husband. The family relocated to a cottage in Edge End, but after around 18 months there was a further move, this time to Whippington’s Brook – to a cluster of four houses ‘roughly half a mile from Christchurch Cross, with a stony road leading through the woods to reach it’. In Where I Belong Joyce recalls the other families who lived in this remote spot, and recounts a variety of early experiences from this time. “my bedroom had a small window…I had only to open it and stretch out my hand to pick the sticky red buds of a larch tree in spring….all I had to do to be in my beloved woods was to climb over a stile beside our back door”. ​After her Dad’s death, Mam and Joyce continued to live at the bungalow, only moving when, due to a deterioration in Mam’s health, a move was advised. From this time until her marriage Joyce lived with Mam at a cottage on Lord’s Hill, Coleford. Joyce attended Christchurch Infant and Junior School, before passing to enter Bell’s Grammar School, Coleford on a full scholarship. She comments that this included £3 for purchase of her required school uniform. For financial reasons and through her own choice, Joyce elected to leave school at 14, so had to repay this money. From her writing it is evident that young Joyce developed a love of poetry and performance at a young age: she describes putting on performances for her younger half-sister and a cousin, and of writing poems about the forest she loved whilst still in junior school. Whilst some teachers supported and encouraged Joyce, she did also encounter prejudice due to what was then seen as the 'illegitimacy' of her birth. One such experience, recounted in her first book, describes the response of the headmistress of Monmouth Girl’s School for which Joyce had passed the written exams. She was rejected at an oral interview - once it was known that she didn't know who her birth-father was. From her writing it is evident that Joyce aimed to find work she enjoyed whilst at the same time, bringing in a little money for herself, and an income to add to the resources of her Mam and Dad. Between leaving school at 14 (1946) and marrying (1954) Joyce changed jobs many times, this reflecting the lives of many young people in the Forest at this time. In her second book Joyce describes her experiences in many of these jobs (listed below), with humour and keen recall. Many of the jobs were shop based, with the exception of factory work at Pine End, and a short stint working outdoors for the Forestry Commission. In later life Joyce worked in several Forest pubs, sometimes as a cleaner, but more often behind the bar. Her warmth and humour made her a natural host, and it was through her time as a barmaid that she came to be known by many more local people. Amongst the local pubs she worked in was The Royal Forester at Mile End (near Coleford) and The Masons Arms in Coleford. 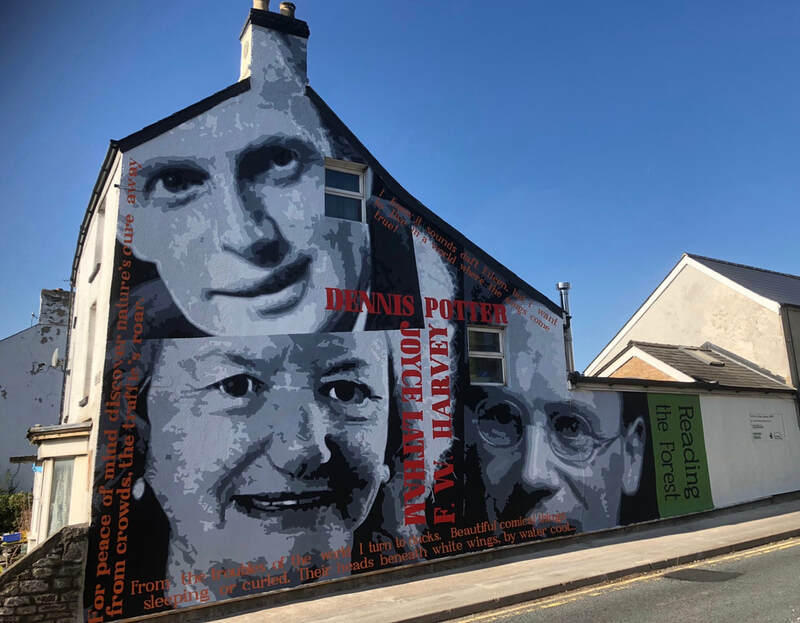 It is fitting that it was, by coincidence, the side of this (now former) pub that would host a new mural completed in 2018 depicting Joyce, alongside fellow Forest of Dean writers Dennis Potter and F W Harvey. Joyce’s love of the places she lived as a child and in adult life comes across in both her prose and her poetry. Before she was married, other than a brief period working in Gloucester, the young Joyce worked in and around Coleford, close to the woods in which she and her young friends and relatives had spent so much of their childhood. But no-one else knows - only I. “It was bad enough making my way down that slippery path, but coming back with that precious jack of water was even worse. Very often I would be yards from home when I slipped and spilled the lot, so back I’d go to repeat the exercise”. In 1953 Joyce married William Robert (Bob) Latham (1926 – 1995). The couple went on to have three surviving children, and a baby girl who died in the first few days of life. Michael was born in 1955, Martin in 1960, and Sally in 1967. ​Bob was the son of William George Latham and Irene. His mother, who died young, was a Farr prior to her marriage, thus there was a distant connection between Bob and Joyce’s family. Joyce died on 27th February 2007. Many thanks to Reading the Forest volunteer Caroline Prosser for her research, and Sally Latham, and Martin Latham, for their contributions.